Whats your current android wallpaper? Whats your favourite Android wallpaper at the moment? i'm very into abstract ones! Re: Whats your current android wallpaper? 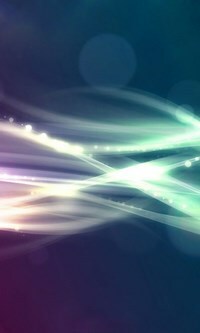 moorken wrote: Whats your favourite Android wallpaper at the moment? i'm very into abstract ones! I have used a number of these on various devices. They can be easily re-sized for a given mobile I suspect. All of them are currently on Dropbox and can be downloaded if someone wants them. Not a clue offhand, sorry. If I can track the source when I'm home maybe but from the car.. Naw..
Hi Odysseus, I am sorry to tell you that your girlfriend is correct. I searched the image and found http://www.favhdwallpapers.com/poha-kea ... paper.html which is in Hawaii. Inspired guess though, don't you think? Edit; My favourite of those images is the maple glade. Robbie P wrote: Hi Odysseus, I am sorry to tell you that your girlfriend is correct. I searched the image and found http://www.favhdwallpapers.com/poha-kea ... paper.html which is in Hawaii. Inspired guess though, don't you think? BTW, if anyone is interested there should be a few others here. Man I hate shopping with women. When I go out I know what I want walk into the store and get it. Today I may end up spending all day walking around the malls watching her try things on and when It's all said and done either go home empty handed or with bags full of things she'll seldom use or wear. Thanks anyway!!! lol I just hope she makes it up to me later. There is *nothing* that can make up for a shopping experience like the one you described. Nothing! Well, I added simple my photo on my android phone.